Snow hit Bellingham Friday night, and announced the arrival of winter. It’s hard to think that just a few weeks ago it was over 60 degrees, and the high today is 28. But I love the snow, it is so pretty and puts me in the holiday spirit. What do you think? 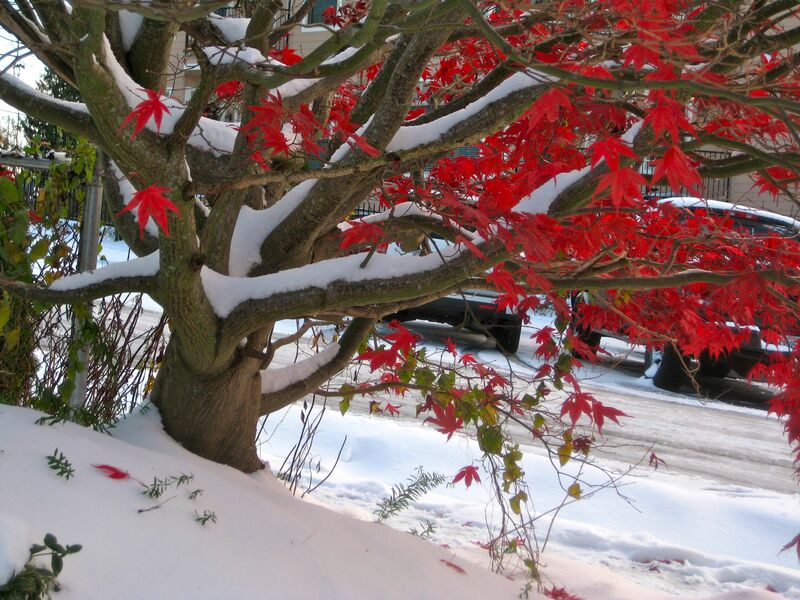 Winter snuck up on this tree in Fairhaven. 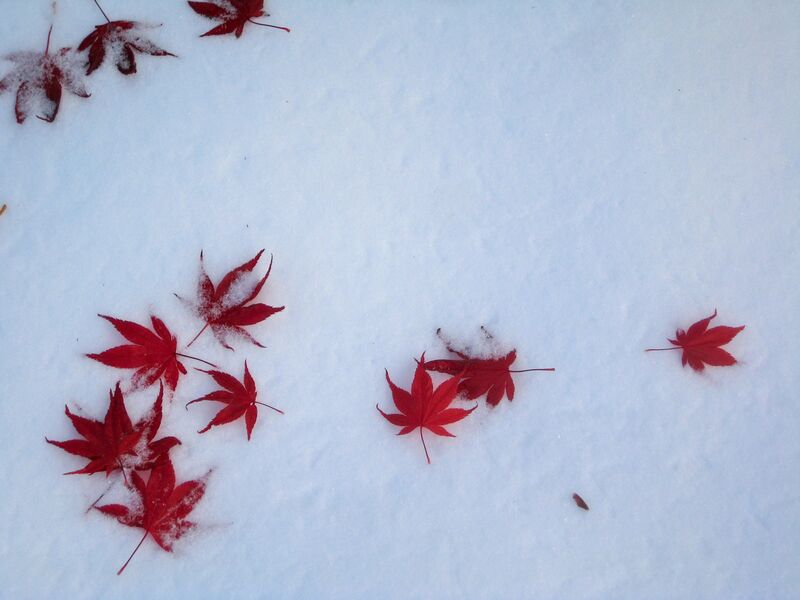 I loved the contrast of red leaves and white snow. ← Are you ready for Mt. Baker? I love the contrast in these photos as well. It’s hard to believe the snow is already gone when we had so much of it last week. I’m happy it’s off the roads, but it did put me in more of a holiday mood.